There's a little bit of water damage in what would be Arthur's room from before we got a new roof. It's something we've been wanting to take care of for a while, but a couple weeks ago it started to climb the priority list. So, I started peeling back the wood paneling (i know, wood paneling! yuck!) and let's just say that the cost of the project grew exponentially! That's ok, we can deal... except that the very next week we found out that Aaron's car needed some work... ok A LOT of work, like more than the thing is even worth! On top of that we found out that we owe taxes! After a coffee date with a friend at work I thought it wise to make an appointment with a financial advisor. I was just so overwhelmed and didn't know what to do. After talking with the financial advisor and looking at what we could be saving, given a few changes, I was blown away. Aaron and I have been faithful from the beginning of this process that God would provide the funds to get through this adoption. It's funny to think that part of His answer to that prayer would be in our own checking account! When we haven't been worrying about this we've been working on getting a couple documents we were missing, like Aaron's birth certificate and my passport with my married name on it. We also started some Hague certified training. We have to have at least 10 hours completed before we can submit our dossier. Our friend Micah is a super talented gig poster artist in town, but he also has a lot of t-shirts and art prints available for purchase. 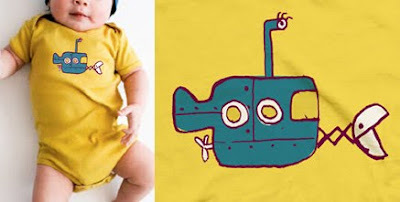 We spotted this little onesie in a box of goodies that he packed for Flatstock 2010. Find some other cool things he has for sale here! Yeah, I know... only a month in and I'm already talking about patience. This past week has been hard. 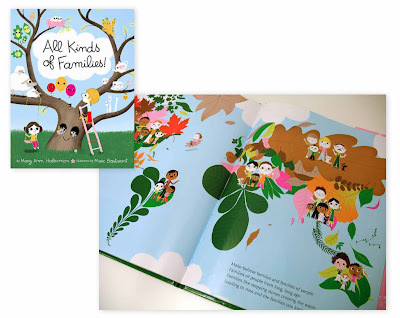 In the adoption world we are on track and everything is going smoothly. Life, on the other hand, seems to be spinning out of control! It's just been one of those weeks where all those little financial nuisances you hate to deal with happen at the same time! This is especially annoying considering we really want every extra penny to go toward this adoption. ROUND ONE OF PAPERWORK SENT! Just sent off some paperwork today. Included was an adoption agreement, fee schedule, release form, questionnaire and a home study agreement (since we're doing our home study through Children's Hope). Now we wait for final approval, then things will really start moving! Oh! 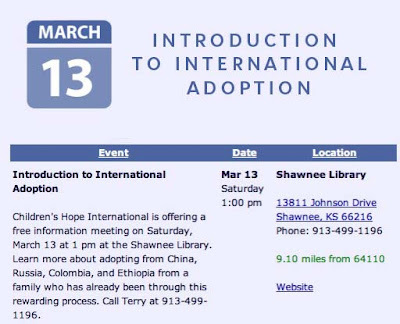 Also, Wednesday we learned that there has been a change in the Ethiopian adoption process. All prospective adoptive families must now travel to Addis Ababa for the Federal Court hearing before your adoption can be approved. This means that we have to travel to Ethiopia twice now instead of just once to go pick up our child. This also means MORE MONEY! I'm half overwhelmed by this news and half excited, because we'll get to meet Arthur a little sooner and have a few more days to experience the culture there. TOMS recently came out with tiny toms and I think little Art needs these shoes! If you don't already know about TOMS shoes, for every pair you buy, they give a pair of shoes to a child in need. 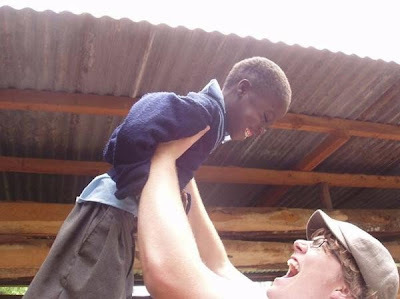 Here's a video of the "Chief Shoe Giver," Blake, in Ethiopia! ...you should go to this!! I came home yesterday to find this on our door step. At first glance I thought this was the big adoption package we've been expecting, but my disappointment turned right back around to excitement when I realized what it was. 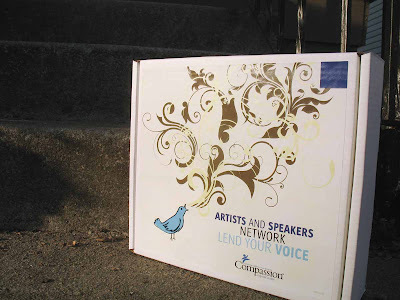 As of a few weeks ago, Aaron is officially a Compassion Artist. That means that Compassion International sets him up with everything he needs to promote their cause and get kids matched up with sponsors. I'm so excited for Aaron to be a part of this. I know that he'll be able to use Arthur's story to inspire people and create awareness about all the little ones out there that are in need. Aaron and I LOVE talking about names we like. We've had the name Arthur picked out for this little guy for a while and more recently we've found out just how perfect it is. First, Aaron is a huge fan of Maurice Sendak and "Little Bear" is a special character to him. He even calls our dog, Wonder, "Little Bear" from time to time. Second, Aaron is an incredible doodler. Doodler? Anyway he comes up with the most amazing little characters and the one that has become most dear to us is Manbear. Basically just a little guy in a bear costume. As we were talking about the name Arthur, I decided to look up it's meaning. You ready for this? Arthur is a name that probably dates back as far as pre-Roman times in Britain. It is possibly derived from the Celtic "artos" (bear), or the Welsh term "arth gwyr," or "bear man." Aaron is SO EXCITED to be a dad! I love this picture of him. It just shows his heart so much. He's a natural with kids. Yesterday we talked a lot about the reality that we are going to be parents. It's starting to sink in. We're ready to start making a space for this little one and we just want to buy all sorts of things for him. I got home from work yesterday and Aaron had bought a little blanket with african animals on it. He took it out of it's packaging and cradled it like a baby. So stinkin' sweet! Earlier in the day he asked, "Should I be Dad, Poppa, or Pop?" I said "what feels the most natural?" he said "none of them do. ha!" Maybe we'll just let our son decide. I just found out this morning that we've been approved by Children's Hope! I knew that we would probably hear something this week, but getting the call first thing Monday morning was definitely a treat! Aaron and I are so excited to officially get this thing started!